For example we are going to help you with problems, which would otherwise not be able to be solved or at least not economic. Remove of unwanted adherence, coatings (hard, chewy, soft, brittle), of every kind for example industrial facilities. Erosion of incrustations, removal of concrete and damaged in liner of every kind. Versatile effort of high pressure water jet procedure. 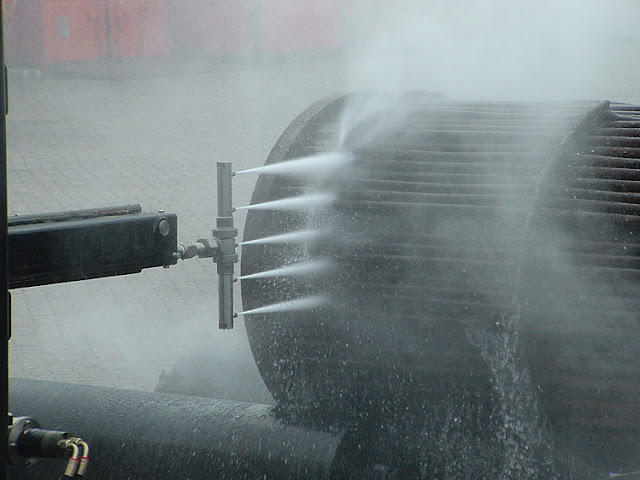 Results of improved cleaning- and maintenance facilities by: Hose Rotating System. The very successful facility enables bewildering cleaning results through bore, cut or shape. 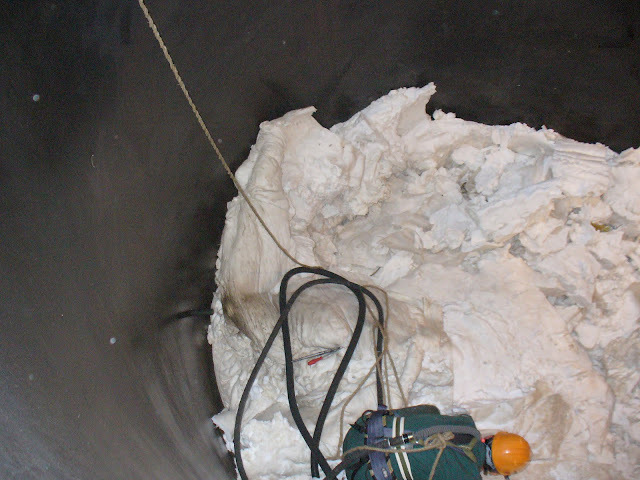 Inside surface cleaning of pipe systems for example possible for several arcs. inside surface cleaning, container-, filter-, system cleaning (you double yourself by saying this phrase - maybe delete) and so forth. surface ablation, cooler- or filter, container and tool cleaning and so forth. Shortening-scheduled and unscheduled downtime due to more effective cleaning techniques and their appropriate use. Higher productivity, improved profitability of the plant. Maintenance, inspection, repair and modernization of your cleaning equipment Ask about our rental and rentequipment. A few examples: There is but ever occurred, which in a cross-section reduction (tube in tube), through conversion of a channel, something went wrong. We have, for example, a 600 PE pipe with a slightly concrete 1000s stoneware pipe cut out, without the clay pipe to destroy When defective sewers are like liner or similar, to pack the mutilated bodies . Unfortunately, that is not always smooth. We will remove the problem again! It will also drill bits have been accidentally filled with concrete (B45) at backfilled and be hardened. In our treatment, they were operational again! In the construction of a prestressed concrete bridge it was discovered that the steel bridge tours deep within the body were filled with concrete. The bridge had not been are after we released the tubes were cut! For formwork beams, where the construction of large concrete surfaces on milimeter arrives, the sides and edges are clean and smooth, with our respective HD technology we do this quickly and thoroughly. Our area of building construction: special cleaning of pipes and canals, cutting out unwanted concrete or slightly concrete-discharges, etc., cleaning of machines, components and (Upper-) surfaces, Surface Preparation, surface ablation etc. review of the resources and the same reduction to the minimum necessary demonstration of the implementation and evaluation of the above objectives target / actual analysis and comparison of the existing approach quantifying the savings to your particular situation, we develop an economic solution variant.